Assumption Grammar School enjoys first class sporting facilities consisting of an all-weather 3G pitch, fully equipped Fitness Suite, Grass Pitch for Gaelic/Camogie, Astro-Turf Training Pitch and a Full Size Indoor Sports Hall. The Physical Education department offers a wide range of activities which are designed to develop student’s confidence and sporting excellence. Physical Education is compulsory for pupils in key stages 3. Year 10 - 2 x 30 mins (general PE programme is followed). Pupils in Key Stage 3 are offered a wide and balanced range of activities. Over the 3 years they will have participated in netball, gymnastics, gaelic, dance, athletics, tennis, swimming, minor games and health related PE. - This component will cover the key concepts of health, exercise, physical performance and skilled performance. It will be assessed by a 1.5 hr external written exam at the end of Year 12 and is worth 40% of the overall GCSE qualification. - In this component, you will put into practice the knowledge and skills to help you develop and maintain a balanced, healthy lifestyle. This is a controlled assessment task where you will produce an “Exercise Activity Profile” and it is worth 20% of the overall GCSE qualification. Assumption Grammar follows the AQA exam board syllabus. Within this you will cover two main units, one practical and one theoretical. Here you develop knowledge and understanding of the changes within the body systems prior to exercise, during exercise of differing intensities and during recovery. You will learn to interpret data and graphs relating to changes within the musculoskeletal, cardio-respiratory and neuro-muscular systems, and the use of energy systems during different types of physical activity and sport, and the recovery process. In exercise physiology you will learn about the adaptations to the body systems through training or lifestyle, and how these changes affect the efficiency of that system. Biomechanics involves developing knowledge and understanding of motion and forces, and their relevance to performance in physical activity and sport. In addition you will learn how to use biomechanical definitions, equations, formulae and units of measurement, demonstrating the ability to plot, label and interpret biomechanical graphs and diagrams. This section focuses on how skill is acquired and the impact of psychological factors on performance. You will develop a knowledge and understanding of the principles required to optimise the learning of new, and the development of existing, skills. In addition you will also learn to interpret graphical representations associated with skill acquisition theories. You will also study the role of sport psychology in optimising performance in physical activity and sport as well as developing the ability to understand and interpret graphical representations associated with sport psychology theories. In this section you will develop knowledge and understanding of the interaction between, and the evolution of, sport and society as well as understanding, interpreting and analysing data and graphs relating to participation in physical activity and sport. You will also study the technological developments in physical activity and sport. Various ‘ethical issues’ in sport will be discussed including football hooliganism, drugs in sport and gamesmanship. Section A, B and C all have equal weighting and are each worth 70 marks across the two exams. The questions are also the same comprising of multiple choice, short answer and extended writing. This unit counts for 30% of your A Level mark where you are assessed as a performer or coach in the full sided version of one activity (20%). You also have to complete a written/verbal analysis of performance (10%). The list of activities accepted can be seen on the AQA website. The PE department contributes greatly to the wider life of Assumption Grammar School. 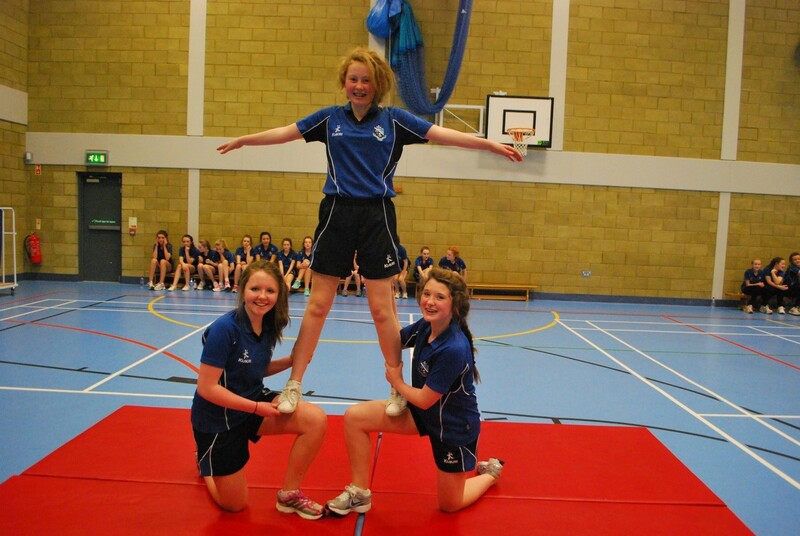 There is a wide range of sporting activities for pupils to get involved in, with teams entering competitions at a variety of levels in all sports.Extra-curricular is delivered by various members of staff and outside coaches. Click on the link to see the Extra-Curricular timetable. 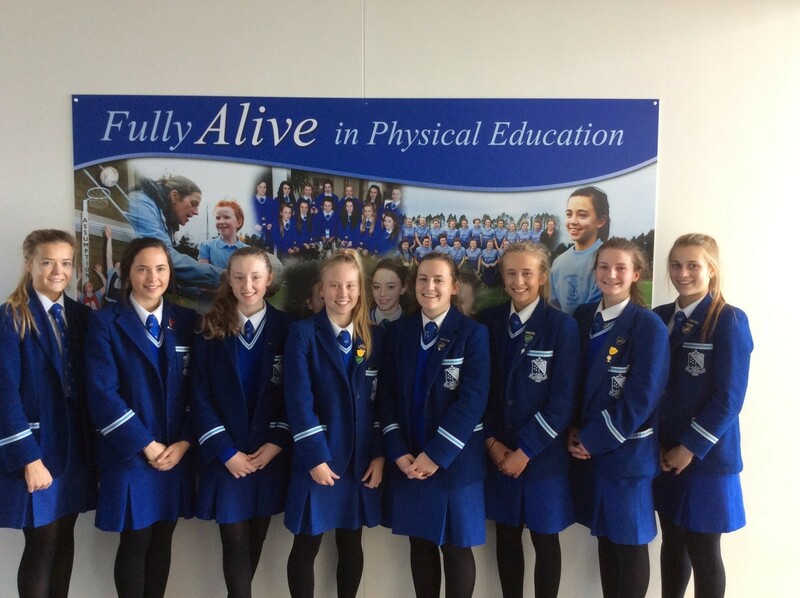 The PE department assigns Sports Prefects to act as PE and sport ambassadors for the wider Assumption community. This year the pupils have the opportunity to participate in the following activities after school, and, or lunchtimes, netball, cross-country, dance, camogie, gaelic, soccer, athletics and use the fitness suite. Many of our students gain County, Regional and sometimes National recognition in a wide range of sports. The school has entered 5 teams into the NI League and Cup competitions and 3 into the East Down League. There are approximately 60 year 8 pupils trying out for the year 8 teams. 2 teams of 8 pupils will be selected for the East Down Tournament which is to be held in May. The minor team and year 9 A team are entered into the Rockport Invitational Tournament held in May. The cross-country training begins around November time, as the main competition is early February. Teams are entered in the minor, junior, intermediate and senior sections of this competition. 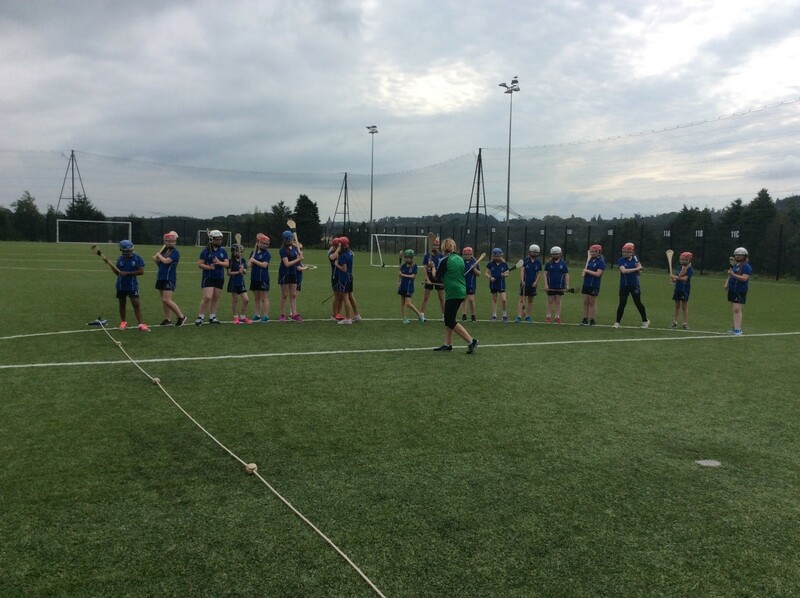 Mrs Collins and Dr Cunningham take responsibility for the camogie teams. There are 4 teams in total the year 8’s, the under 14’s, the under 16’s and a senior team. The teams are entered in the various leagues/tournaments throughout the year. Mrs Murray and Mr Maginn are busy organizing the Gaelic squads for the year with the additional help of Cormac Venney. Pupils will be entered into competitions in 4 age groups. The under 14, under16 and senior teams will compete in the Ulster League while the year 8 teams are entered into the Co Down/Armagh Blitz. Each year a team is entered into the annual Secondary and Grammar School’s Galas. Two teams are entered into the annual soccer tournaments organised by the IFA. Years 8, 9 and 10 pupils participate in their respective netball days. They compete for their House against the other Houses. There is a trophy awarded to the winning House in each year. Sports day is open to all pupils from Year 8 to Year 11. The girls compete against each other in their Houses, and win points for participating, and coming first, second or third in a race. A Sports Cup is awarded to the winning House.